With our experience, advanced equipment and expertise, our toll-manufacturing services give you a distinct business advantage. We even have the resources to create entirely new, customized polymers. Cut Your Costs, Cut Your Time to Market, Expand Your Business. Business partners that turn to Danimer Scientific for toll-manufacturing and customized-polymer services reduce their costs and get their products to market faster. 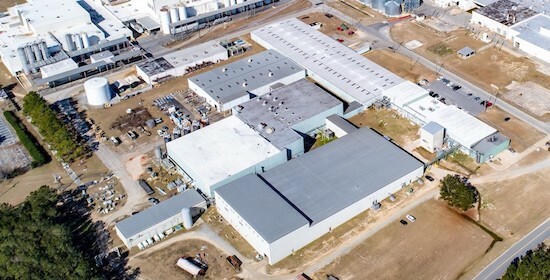 Our more than 235,000 square feet of manufacturing facilities offer ample capacity, with advanced equipment that includes twin-screw co-rotating extruders, reactors, fermentation vessels and more. Our operations are overseen by experienced experts who can develop your idea into a commercial reality or work with your own formulations, materials and instructions. In short, we offer every advantage you need to expand your business and reach your goals quickly and cost effectively.